"Birdguides". It is a brilliant source for bird info, recent bird sightings and a super forum for other like minded folk to share their recent bird images. It is a very popular site, with approximately 10,000 individual visits/hits per day!!! As you can image there are an enormous amount of images that get up loaded on a weekly basis, and many are of extremely high quality. Every week the Birdguides panel select what they deem to be the top ten images in that particular week and are awarded a "notable accreditation". They also have the unenviable task of singling out just the one image for their POTW (picture of the week). I guess by now you can see where this is going???? Yep that's right this week I was awarded the prestigious award of POTW, yippee!!!! 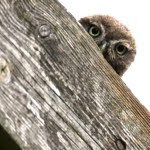 The image in question was of a Little Owl, no surprises there then? These birds have been occupying this particular nest site for the last five years. Their nest tree is situated smack back in the middle of a farmers field and access is only allowed when the weather is good and the grass is dry, yep not very often!! Therefore I hadn't visited this site for well over six months. In this instance we'd had a spell of dry weather that coincided with me getting my Landrover back on the road, a visit was well overdue. There had been some very light drizzle that made the bark on the tree darker in colouration with an additional sheen like appearance, mmmmm very nice. The Landrover was positioned at an advantageous angle and the wait then commenced. After an hours wait I was rewarded with the owl popping its head out of the hole and hey presto the image was captured! Well done.. beautiful composition!!!. 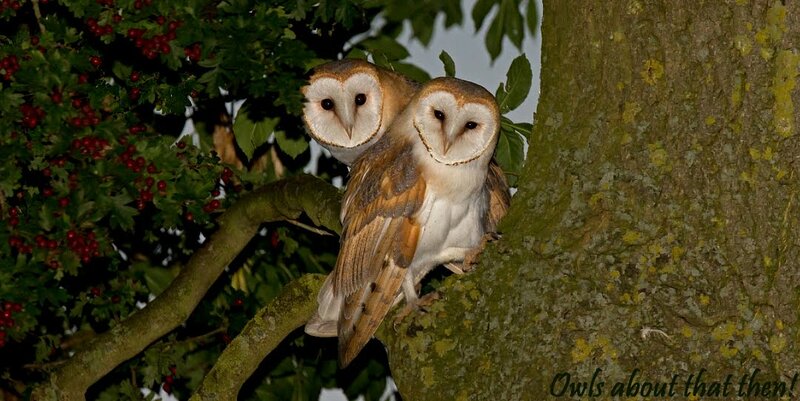 .Congrats..
Straight onto my Pinterest 'Birds of Prey' board....Fantastic. Many congratulations on your POTW- you certainly deserved it! That's got to be one of my favourite images of yours! It is one of my own favourite images too Ben, thanks.